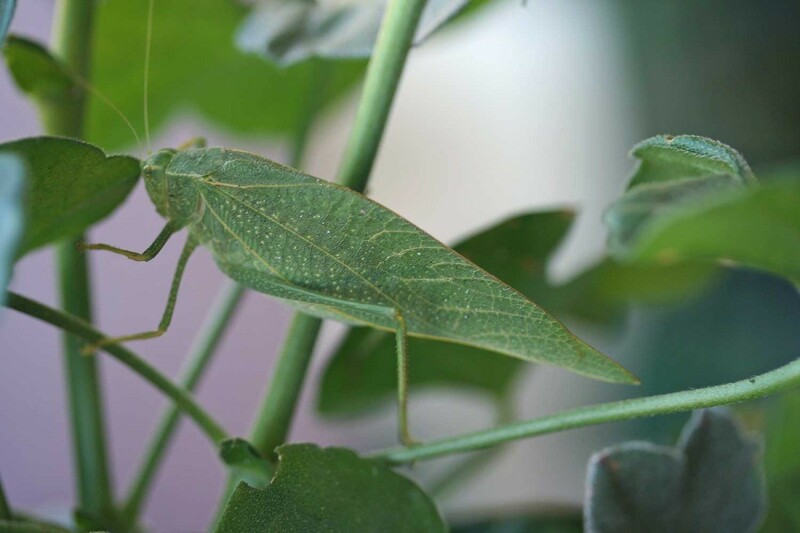 I found this Katydid among my geraniums the other day. His color blended in perfectly with the geranium leaves. I have not seen many of these in the past and really enjoyed viewing and photographing the insect. The insect looked so much like the plant leaves, note his folded up wings really do look leaf like. He moved slowly up the stem. I photographed him and left him to his pleasures as he explored the plant.